This part of IEC 60839 defines the Web services interface for electronic access control systems. This includes listing electronic access control system components, their logical composition, monitoring their states and controlling them. 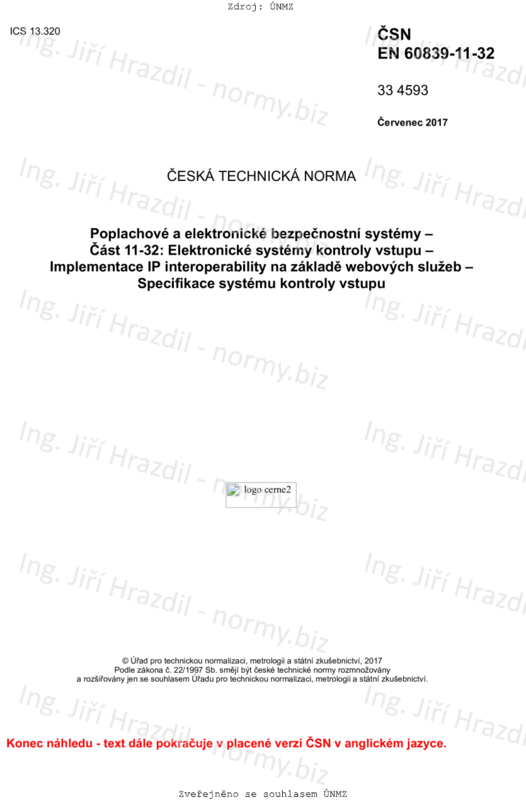 It also includes a mapping of mandatory and optional requirements as per IEC 60839-11-1. This document applies to physical security only. Physical security prevents unauthorized personnel, attackers or accidental intruders from physically accessing a building, room, etc. Web services usage and device management functionality are outside of the scope of this document. Refer to IEC 60839-11-31 for more information. This document does not in any way limit a manufacturer to add other protocols or extend the protocol defined here. For rules on how to accomplish this refer to IEC 60839­11­31.